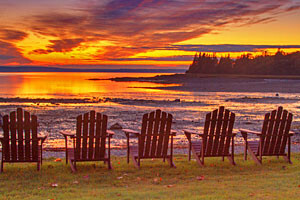 Just 29 acres in size, Camden Hill State Park in Maine has great beauty. Within the Park, visitors can enjoy camping, hiking, biking and wildlife viewing. Located just a few miles north of the Town of Camden, the Park has easy access and is close to the amenities of Camden. From Camden Hill State Park, each visitor can enjoy the picturesque scenery from the top of Mt. Battie. From here, you can see the Town of Camden, Penobscot Bay and the islands that dot the horizon. Cadillac Mountain in Acadia National Park can be seen on a clear day. There are many opportunities for hiking and all the trails are well marked. Thirty miles of hiking trails extend out from five well-maintained trailheads. The campground has 107 sites and includes hot showers and flush toilets. This is a popular sight for leaf peepers in the fall when they drive up the Mt. 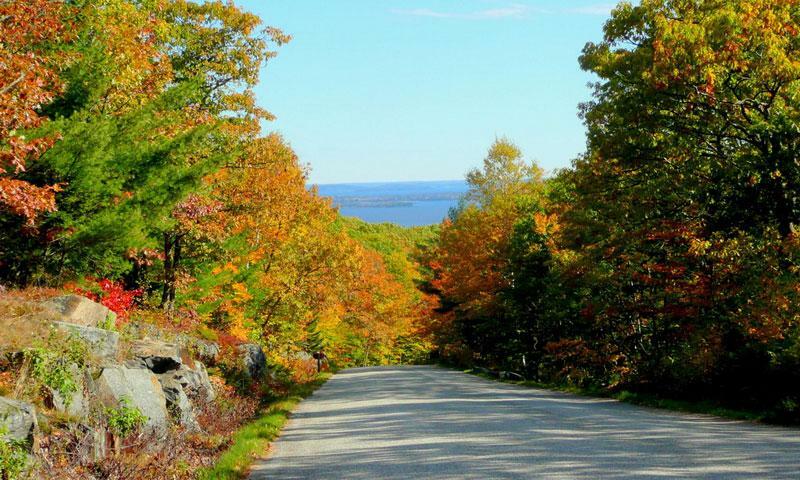 Battie Auto road to enjoy the colors of the fall foliage. Camden Hills State Park is a fee area and is open from May 15 through October 15 each year.